Hey there. I hope you’re doing well. I’ve been doing research on obesity for a while now and I came across this piece on your website that talks about easy and clever hacks to lose weight. I really liked the way the author brought up these clever hacks out of these simple day to day stuffs. However, during my research I realized that people chose different types of diets to stay healthy and fit. I wonder how many know the differences between each diet. As a part of my research, I created an infographic which talks about different diets like Mediterranean, Paleo, Vegan and the Keto diet. It’s a head-to-head comparison that compares these four diets in detail. What’s the best diet plan to lose weight? Good for you for taking a hard, informed approach about your weight loss and health! I’d love to take a look at the graph you’ve put together! I’ve been studying many different types of diets for many many years, and their effects on general health, illness and disease prevention, illness and disease treatment, weight loss, body mass, cognitive health, longevity, etc. What we continue to learn from all the emerging research is really fascinating! 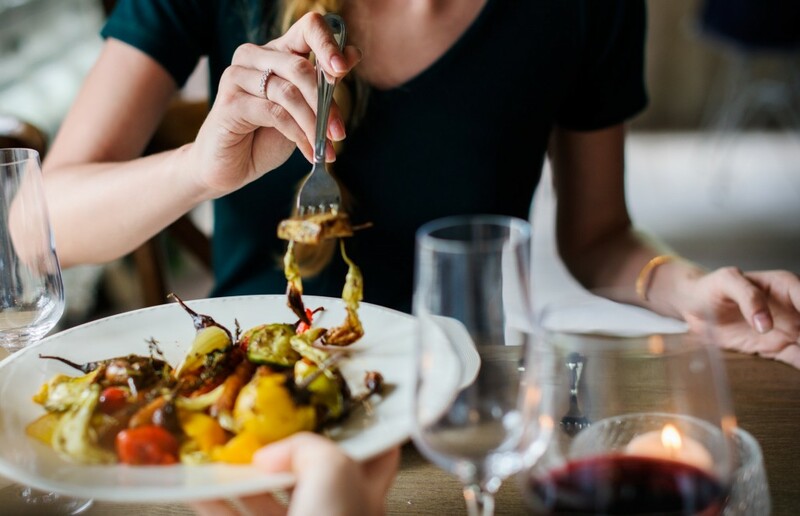 Certain diets have a lot of research out there on the various aspects of their effects (and, often, the research is financially backed by those who have something to gain from the results of the research). Other diets have less research out there. Certain diets have performed very well on studies that were conducted over a short period of time, but not as well in studies observing their long term effects. Some diets don’t seem to produce results as quickly in the short term, but seem to produce really positive health affects when studied over longer periods of time. Many diets have only been tested on animals, and unfortunately, many diets haven’t been studied over longer periods of time at all, so we don’t yet know what their long term effects might be on human beings. Certainly, making a habit of staying on top of the research is always illuminating, and helps you treat your health responsibly and informatively. But unfortunately, we don’t have definitive answers yet. At the same time, bodies are like fingerprints; we are all unique, not simply how we look on the outside, but also our internal biological chemistries and the way our bodies respond to different stimuli on the inside. Different body types, blood types, genetic predispositions, familial background, cultural background, climate, environmental exposures, medical conditions, lifestyle, stress levels, etc. combine to create completely different physiological and biological states that affect how different diets might affect any one person. That’s why we’ve yet to find a one-size-fits-all diet for everyone. That’s why, what works best for some isn’t always effective for others. Back in a university exercise science class, I remember learning the term “non-responders”, which refers to people whose bodies didn’t seem to respond the way that was “expected” to particular exercises that seem to work for other more “typical” groups of people. But today, we know that there is no “typical”, there are so many factors that affect how someone responds to a certain diet or exercise program, and if one approach doesn’t work for one person the way it did for another person, than a different approach must be tried – ultimately, trial and error! But the most important thing is to START on something! Choose one to start on and give it a good solid trial period and strong commitment. At the end of an appropriate trail period, then you can assess the results and decide from there if its having the wanted effect or not, or whether one should continue with the approach or modify something in the approach or else to try a completely different approach all together. Many studies of different trending diets seem to have come to different and conflicting conclusions. However, at the same time, there are common themes that seem to arise from a large majority of the studies of the many different diets that have been deemed “effective”, commonalities that many of them have that may hold the key to their success. Naturally, there are MANY exceptions (as I’ve mentioned above, including medical conditions, food sensitivities, blood sugar issues, digestive issues, illnesses and ecetera that may affect how these particular trends might apply to any one specific individual). Diets that emphasize a lot of natural whole plant foods (especially colorful vegetables, dark leafies, crucifers, alliums, etc) as an important component of most meals often seem to perform significantly well in the areas of weight loss, illness and disease prevention and management, longevity, etc. Note that this refers to plant foods that are in their whole form or that are minimally naturally processed for better digestibility. Plant foods are considered “carbs” generally (although they also include important protein and healthy fat components as well). There is an important body of studies that have shown that eating too many carbs in one sitting can have negative effects on blood sugar levels and appetite control and can cascade into other problematic issues, like weight gain, diabetes, chronic illness, etc. Certainly, there is something to this. And definitely, some people are more sensitive to carb intake and blood sugar regulation than others, so that must be taken into account individually. However, it’s also important to note that studies on whole natural plant foods have shown that whole foods include naturally mitigating factors (such as a natural balance of fiber, nutrients, fats, etc) that curb these effects from taking place, unlike refined carbs that have had these naturally mitigating factors removed during processing. Many effective diets practice macro-nutrient balancing and proper food portioning in each meal to prevent these issues from arising. Many of the current trending diets that you mentioned stress the importance of natural whole plant foods, such as the Mediterranean, Paleo, Vegan and the plant-based Keto diet (there is also a version of Keto that stresses more animal foods). Consistently eating highly processed carbs (such as refined flour-based products, refined sweeteners, etc.) and highly processed fats and oils (which includes poor quality plant oils, hydrogenated and partially hydrogenated oils, chemically extracted oils, shortening and margarines, artificial fats, etc) have shown to have negative effects on one’s blood sugar patterns, cardiovascular system, metabolism, cholesterol levels, weight, illness and disease rates, etc. Also, while there are still many disputes among different studies (and also many different vested private interests involved in a lot of these studies), the use of chemicals in foods and in the surrounding environment has raised many health concerns about possible long term effects. To be on the safe side, it’s wise to try and stick to what we’ve seen has worked best for human beings for thousands of years so far, and what human biology has shown itself to handle the most efficiently – a clean diet that is free of chemicals and includes what’s closest to nature. A growing body of studies show that a small but significant amount of natural minimally processed fats (such as the ones found in fish, olives, avocado, coconut, seeds, nuts, etc. that are eaten in their whole form or else eaten fresh right after they’ve been naturally pressed and cold-extracted from the source and not exposed to much light or heat) in the diet is associated with very important health benefits that include cardiovascular health, brain health, weight management, illness and disease prevention and management, longevity, etc. Studies have been largely consistent about the incredibly important role of fiber in the diet for general health, disease prevention, weight loss, etc. Fiber has been shown to help control blood sugar, lower bad cholesterol, improve appetite control, improve one’s microbiome, improve digestion and food motility, improve cardiovascular health, reduce disease, etc. So….which diet is “best”? At the end of the day, that’s a personal decision that you can only truly discover for yourself by actually going ahead and trying them. You have no choice but to make yourself your own guinea pig, as research will only get you so far before you have to do it for yourself, to see what fits your unique body the best and what fits the best practically in your real life. The most important thing is to START on something! RIGHT NOW. 1) Know what your starting point is. Start by having your body fat percentage calculated and your measurements taken (on key points along your body, such as the circumference of your neck, arms, chest, waist, hips and thighs). Whereas the weight on your bathroom scale includes the weight of bones, organs, water, and other things you’d be sorry to lose, body fat percentage gives you an idea of what you wouldn’t mind getting rid of (although you do need some body fat to live healthily). You can have a fitness trainer or local gym calculate your body fat percentage, or you can use a body fat calculator online. Record your body fat percentage and measurements on an organized chart, and have them regularly re-calculated every month so that you can track and assess your progress. Another good way to track your progress: select one or two pieces of “goal weight” clothing and try them on in front of a mirror, once every two weeks. Watch how they start to fit differently from week to week, and feel good as that beautiful dress or pair of jeans you’ve been dreaming about start to fit more and more flatteringly on your changing figure. 2) Now that you’ve done your research on the various types of diets out there, CHOOSE ONE! Choose the one that you think you can incorporate into your life and make a real solid commitment to. Do all the preparation you need to make sure that you follow it thoroughly, so that you can truly see whether it’s having a positive effect or not. 3) Give the diet a fair trial period. You likely won’t start seeing major changes in two weeks, but by two months you should have a good idea as to whether you are seeing positive results in your health and weight from following the diet you’ve chosen or not. At the end of the trial period, assess the results. If you’re happy with the results, keep going. If you aren’t, see what should be modified, or whether you should try a completely different diet altogether. 4) Incorporate exercise into your weekly routine. Studies are pretty solidly aligned with the importance of exercise for all aspects of health and weight management. 5) Measure your progress regularly. You can’t know whether you are making progress unless you have a way of measuring it. The emotions you have vested in your weight loss make you far too subjective to judge whether you’ve made any progress from simply looking in the mirror. That’s why you need an objective method for measuring your results, in a quantifiable way. Charting your body fat percentage, how many inches you’ve lost, how much weight you’ve lost or etc. in a chart or graph gives you the immediate feedback you need to evaluate whether what you are doing is actually working to move you progressively towards your specific goal, or whether you aren’t heading towards your goals at all and need to re-strategize your weight loss, diet or exercise approach. Not only is this important for making sure that your efforts are paying off, but seeing the numbers ticking away in the right direction boosts your motivation and confidence regularly, keeping you trudging forward with growing enthusiasm.